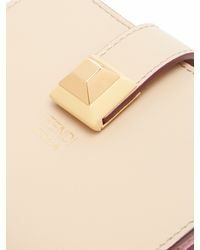 We check over 450 stores daily and we last saw this product for $448 at MATCHESFASHION.COM. 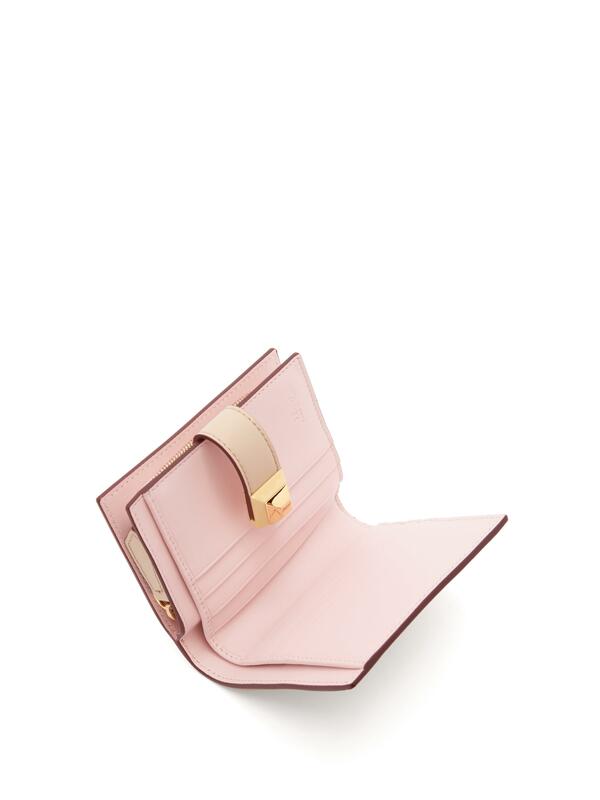 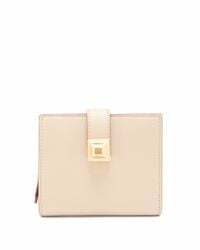 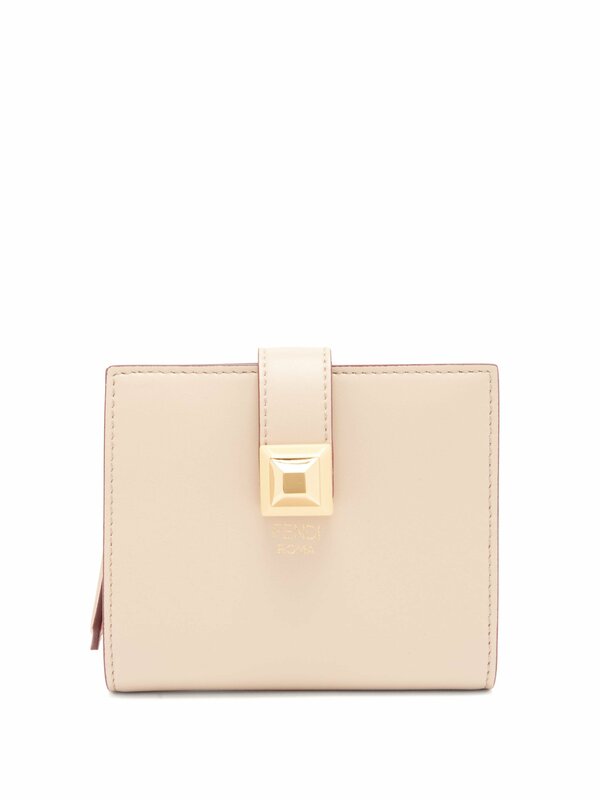 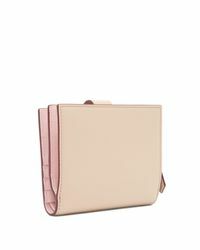 The pink-beige hue of this wallet provides a background to Fendi's signature hardware. 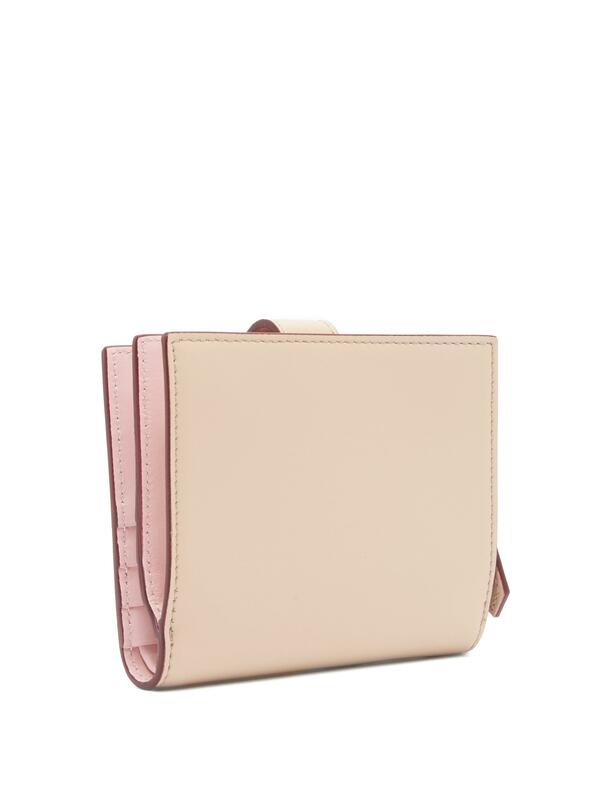 It's made in Italy from smooth leather with bordeaux-purple lacquered edges and baby-pink side panels. 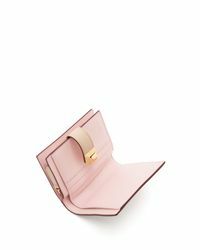 A yellow and gold-tone metal stud fastens the strap over the bi-fold opening and the interior includes a zipped pouch, eight card slots and one notes pocket.